Above: Informal chart comparing the regulatory policies that different countries have applied to commercial sUAS (drone) operation. Correction: This chart isn’t 3DR’s; it’s an informal guide provided by the Small UAV Coalition. The rules for Canada (you can’t fly commercially within 5 miles of a “built-up area”) and Australia aren’t 100% accurate. Please refer to each country’s aviation agency’s website for the most up-to-date information. A little hazy on what America’s drone laws actually are? You’re not alone. But there’s good news: We can help. The above chart is really useful — as long as you don’t live in the US. As you can tell from this conspicuous absence of a “US” column, the FAA is lagging far behind other countries in integrating commercial drones (i.e., flying drones for profit) into the national airspace. So while we’d like to add that column ourselves, we can’t. And like just about anyone else, we’d like to see this change ASAP. 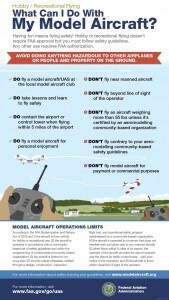 As for your personal use, there aren’t yet any laws outside the existing rules that have historically governed the use of model aircraft in the US. In other words, all the regulations specific to personal drone use are still being written, which means we’ll have new and concrete laws soon — well, hopefully soon. But you just want to know if you can fly your drone and get cool aerial pictures and video, right? Bottom line: Yes, you can. This doesn’t mean you can fly anything anywhere. For instance, as was recently brought to national attention following the White House drone crash, you can’t fly a drone in DC airspace, even recreationally. National parks are also off limits. If you’re wondering exactly where you can and can’t fly, here’s a helpful and continually updated map of “no-fly zones” in the US. Last December, the FAA partnered with a few collective industry entities to draw up some “Know Before You Fly” guidelines. The website offers guidelines for personal, commercial and public use of drones — but although the FAA sponsors the project, it apparently doesn’t officially endorse it. Keep your drone within eyesight at all times, and use an observer to assist if needed. Bottom line: You’re not allowed to fly a drone for profit in the US without special clearance from the FAA. It’s a little absurd: A farmer can make a detailed high-res map of her fields for “personal enjoyment,” but she can’t use that very same image to make an informed business decision. If you want to apply for a commercial exemption from the FAA, go here. Otherwise, be prepared to shell out some cash. We hope this page is helpful to you today, but obsolete tomorrow. We can dream, right?